HomeGeneralOut d’Coup | Killing Health Care; Surprise, Ossoff loses; Time for Universal Basic Income? ; PA Dems and Plastic Bags; RCP’s Intercept Shout Out; Protests, Space News, and More! Senate Republicans emerged from their dark lair to unveil their goal to return millions of American’s to the dark ages of pay or die health care. The repair and replace bill is brutal. So-called Republican moderates cry crocodile tears ahead of their vote to strip health care from the neediest. Pennsylvania’s own Senator Pat Toomey is, of course, running point on the health care debacle. Ossoff loses to the surprise of no one on this show. Has Universal Basic Income’s time come? Concerns about automation and a resurgent left put that question front and center. Missouri votes to fire people who use birth control – HULU provides the cultural reference for protest. Become a member of Raging Chicken for as little at $5/month! 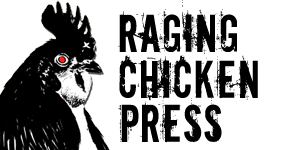 Simply go to RagingChickenPress.org and look for the Support and Membership tab. Click “Become a member” and you’re on your way. 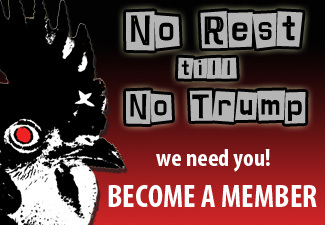 Not ready to become a member? No problem. You can make a one-time donation by clicking “Donate.” We need you – the progressive community – to help us deepen pull-no-punches, progressive media that will hold power accountable. KFC in space? This is the future of galactic capitalism. New Portugal The Man album is out and Sean is basking in his glory.